In the early 20th century, when the idea of a female pilot was widely considered an unladylike flight of fancy, Amelia Earhart refused to be held back on the basis of her gender. When Earhart was young, and rebelling against the expectations of her traditionally Victorian mother, she kept a scrapbook filled with newspaper clippings of other independent, successful women: a telling testament to both the woman she aspired to be and would ultimately become. 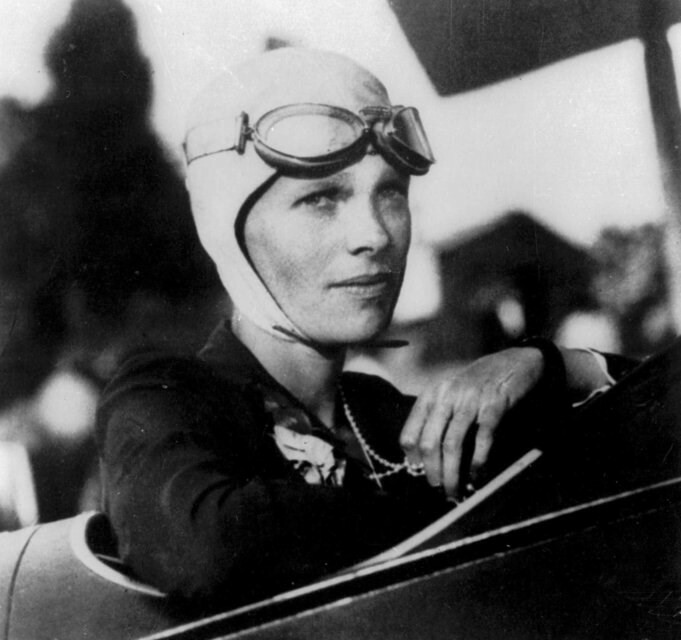 Later in her life, Earhart served as both a beacon of hope and a mentor to other young women eager to pursue careers of their own in male-dominated fields; in a recently unveiled letter penned to a 13-year-old girl (and aspiring pilot), Earhart offered practical advice for breaking into aviation, assuring her that “As far as woman’s opportunities in flying go, I think they will improve as they have in all industries". While almost eight decades have passed since she vanished into thin air before her 40th birthday during an attempted around-the-world flight, Earhart’s legacy continues to inspire those who dare to dress boldly, live fearlessly, and fight against discrimination. 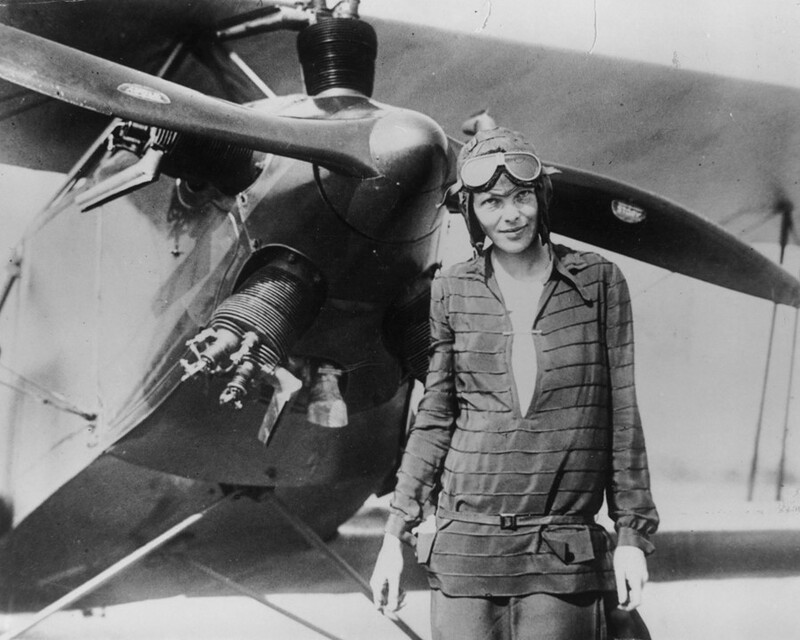 With her boyish haircut and affinity for leather coats, silk scarves, and worn-in trousers, Earhart hardly fit the bill for quintessential American glamour girl. 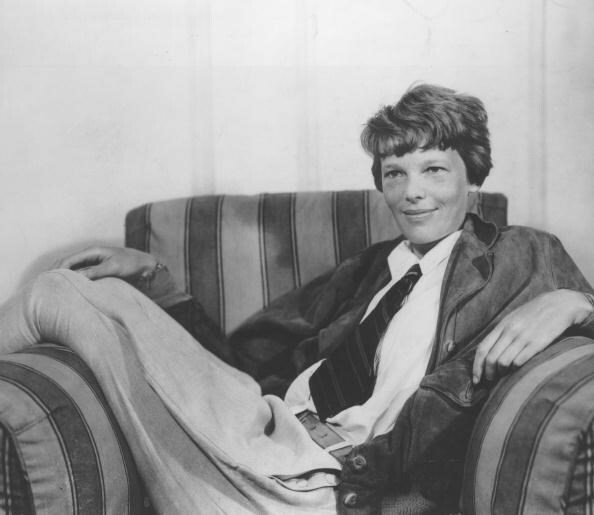 While the press ran their fair share of pulpy criticism directed toward her unkempt appearance, the tables turned as Earhart’s star grew brighter: suddenly, people sought to emulate her distinctive, gender-blurring look, especially as the idea of a woman in trousers started to lose some of its shock value. Partially inspired by a conversation with Italian designer Elsa Schiaparelli, Earhart eventually became one of the first celebrities to gain a product endorsement deal, producing a namesake, aviation-inspired clothing line for Macy’s in late 1933 (long before the “Goop” age of ubiquitous celebrity lifestyle brands). At a time when funding for female pilots was sparse to nonexistent, Earhart utilised the payoff from this endorsement to fund subsequent flights and new gear. Many of the choices made for this short-lived yet well-received collection – from longer shirttails to wrinkle-resistant fabrics – benefited from Earhart’s insight into liberating clothing for women. After all, her highly active lifestyle, combined with copious PR appearances, called for a wardrobe that was comfortable yet sophisticated in equal parts. While Earhart's husband and manager, publisher George Charles Putnam, played a central role in gaining a fan base for Earhart’s style, she rarely strayed from functional pieces that made her feel fully herself on the job — and even on her wedding day. The couple’s New York Times announcement noted: “Brown shoes and stockings and a close-fitting brown hat were worn by Miss Earhart in addition to her brown traveling suit.” Unsurprisingly, Earhart wasted no time getting back to work the following Monday. It was Earhart’s unwavering audacity that helped her to become not only the first female aviator to make a solo flight across the Atlantic, but also a savvy businesswoman. While she dabbled in photography and poetry in her teens, Earhart eventually discovered her true passion for flying and, in May 1923, became the 16th woman in the world to receive a pilot’s license. Following an invitation to become the first woman to cross the Atlantic from Newfoundland to Wales – albeit only as a passenger – in 1928, Earhart strove to gain support as a pilot by her own merit. But funding her goals was not easy by any means. Earhart often worked twice as hard as her male counterparts: she participated in extensive lecture tours, endorsed numerous products, and even signed on as aviation editor of Cosmopolitan. At a time when key aviation safety regulations were not yet in place, Earhart also made a noticeable impact. During one especially turbulent flight, her map blew off her lap; she soon realized that there were no visible landmarks to direct her toward a safe airfield. She later advocated for painting town names on signs in bright colours in order to aid lost pilots in flight. Earhart’s ambitious nature allowed her to achieve remarkable feats, from her first solo flight to her attempted circumnavigation of the world, which sadly led to her mysterious disappearance. Yet it was her willingness to take risks, despite the constant threat of physical danger and judgment from those who discouraged women with non-traditional aspirations, which ensured her far-reaching legacy. Despite the countless professional obstacles that stood in her path, and the rampant sexism she faced as one of few female pilots, Earhart never shied away from being herself, even as the world watched her every move. 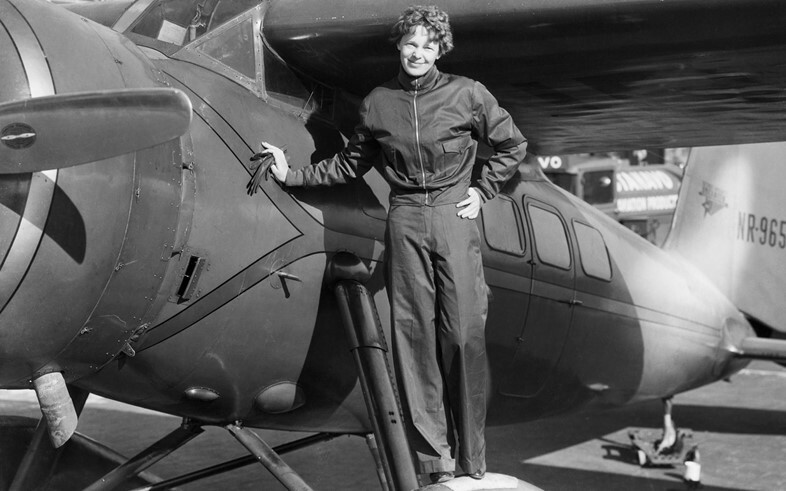 In her short lifetime, Earhart accomplished many unprecedented goals, all while wearing what made her feel good in her skin and actively working to increase other women’s rights to lead fulfilling lives. In the process, she imbued countless girls with the confidence to chart their own courses, whether in their clothing or careers. Wherever she is now, Earhart will forever be an AnOther Woman.